Here in the midwest, it’s sort of a thing to spend summer weekends at a lake. Maybe it’s because we’re land-locked (at least in terms of touching an ocean; it’s kind of hard to feel land-locked in Chicagoland when massive Lake Michigan is right here), so lakes provide our only chance for beach hangs. Or maybe it’s because there are just so many freaking lakes here. 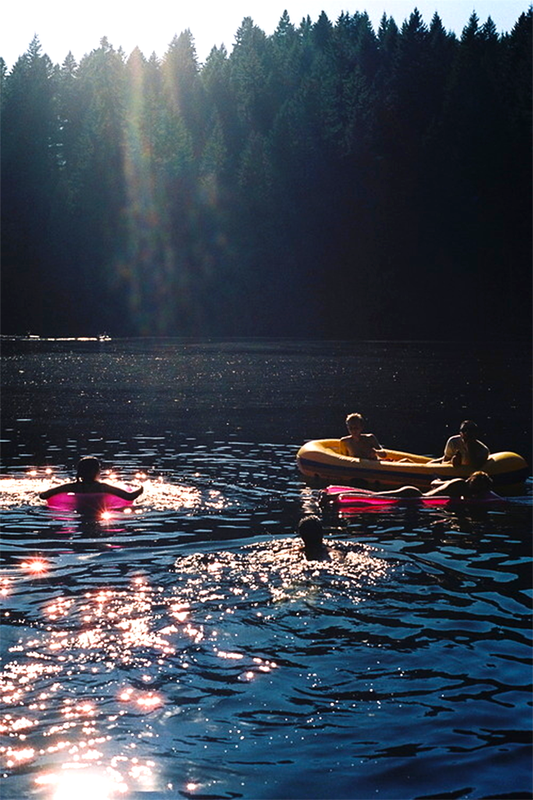 But when I close my eyes and get all day-dreamy about summertime, one of the first images that pops into my head is hanging out at a lake in my bathing suit, drinking cold beer and lemonade and eating watermelon and doing all of those idealist things that define the season. Do any of you take lake trips in the summertime? If so, where do you go?